Whether you indulge in them or not, illegal drugs have always been big business. A report from the White House estimates that Americans spent around $1 trillion on illicit drugs between 2000 and 2010. And like any major industry, those who want to make the most money have to refine their marketing. Cartels might not be clambering for TV spots or coming up with jingles, but there is a real art to marketing your product. From branded baggies of heroin and cocaine to finding new markets for clientele, successful drug dealers have to become advertising experts to make it. 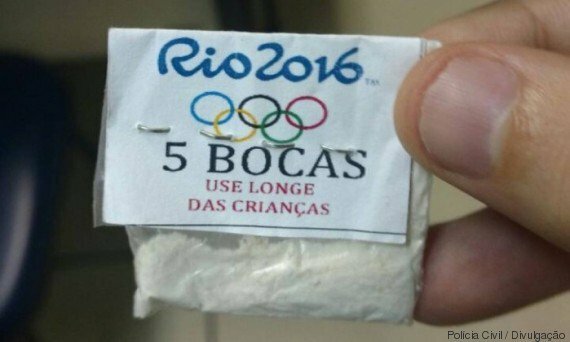 Recently, a photo surfaced on Reddit showing Rio cocaine dealers have been stamping the Olympic rings logo on their baggies for sale. Sure, you'll always have your buyers on a mission and regular addicts, but throwaway little schemes like this might very well make or break an impulse purchase. We asked drug dealers what similar marketing gimmicks they've pulled to drum up sales. A few years ago I started putting my molly in gel capsules with red and white halves and calling them Pokéballs. Those sold like crazy. People would get an extra one or two just to have it around.